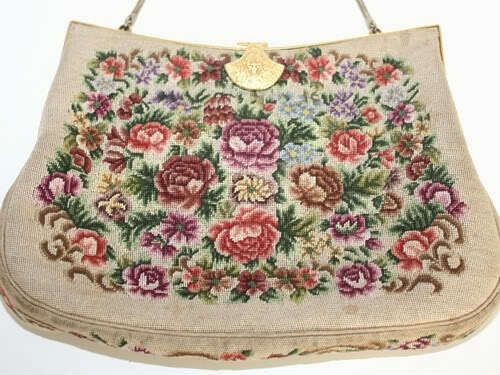 Lovely Vintage Floral Petit Point Bag, made in France. 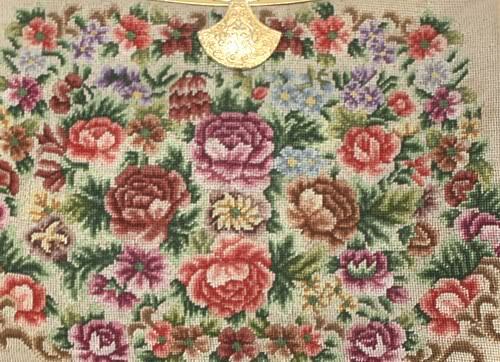 Beautiful Petit Point embroidery work showcases garden favorites, including Pink Roses, Puple Violets and light Blue Forget me nots, just exquisite! Lined in Champagne Satin, with Made in France label inside the pocket. 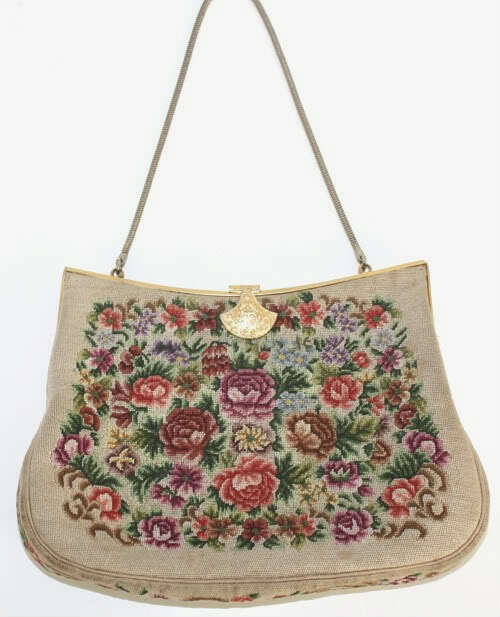 Short attractive chain, this is a great bag for your collection, and still very usuable. Closes well. You may notice some small darker spots on the photographs, these are not as noticable in "real life" we enhanced them so that you would be able to see that they are there. They may clean up well, but they don't distract from this beauty at all. Measures 7~7/8" x 5~3/4" x 1~1/2".